This course will take the student through basic information regarding feeding tubes or EN (Enteral Nutrition). The definition, history, prevalence of enteral nutrition will be discussed in addition to the basic components of the digestive process. Students will then be introduced to common types of enteral tubes available for patients. It will discuss enteral formulas in terms of composition and characteristics. Specific patient considerations are highlighted for consideration in formula selection. Enterally fed patients require additional supplies to assist in the delivery of formula, flushes, and medications through enteral tubes. Common equipment is identified as it relates to preferred methods of delivery. State the purpose of enteral feedings. List types of places where enterally fed patients may receive care. Identify typical uses for enteral nutrition. State 3 diseases or diagnoses that may result in patients receiving enteral nutrition. Identify part of enteral formula composition. List common patient considerations during formula selection. 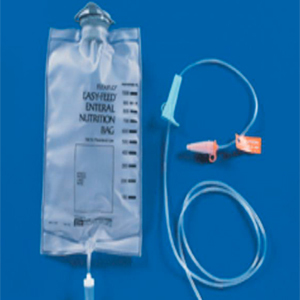 Differentiate gravity and pump delivery methods of enteral nutrition. State the equipment associated with delivery of enteral nutrition. This course is designed to meet the continuing education requirements of health care paraprofessionals in roles such as Home Health Aide, Nursing Assistant, Personal Care Attendant. Ms. Atkinson received her Bachelor of Science Degree in Nursing with a minor in psychology from Winona State University in Winona, MN. Much of her 14 year nursing career has focused on geriatric care. Linda has held such roles as staff nurse, case manager, MDS Coordinator, Quality Assurance/Infection Control Nurse, Assistant Director and Director of Nursing in long term care. This led to her current position in quality and process improvement across a health system which includes inpatient, outpatient, home care, hospice, assisted living and long term care. Additionally, Linda has served as a nurse consultant for group home clients. <br><br> Through these roles, Linda has extensive experience with enterally fed patients, providing direct care, developing policies & procedures on enteral feeding as well as providing education for and management of staff caring for enterally fed patients.